This time of year is that wonderful time when Australian and South African native flowers are at their most spectacular. 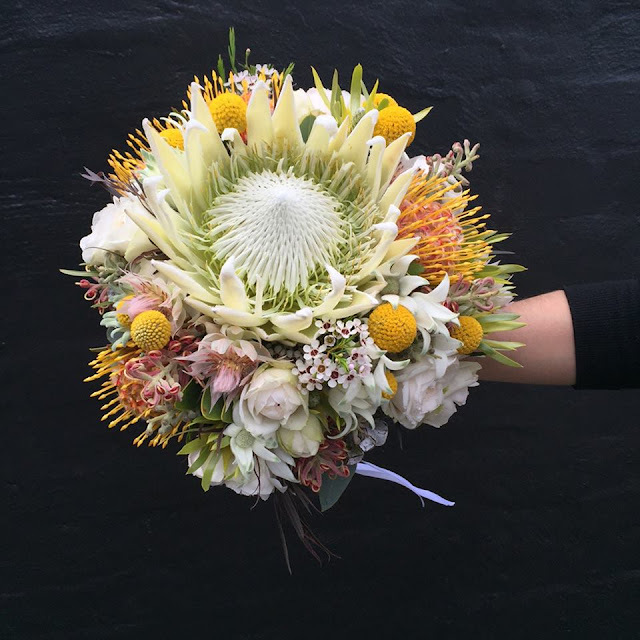 Craig from East Coast Wildflowers supplies us with most of our native flowers and his farm on the NSW Central Coast is brimming with Kangaroo Paw and Flannel Flower right now. For this wedding bouquet, we featured a majestic white King Protea but then softened it with delicate roses, flannel flowers and pops of yellow with the billy buttons. 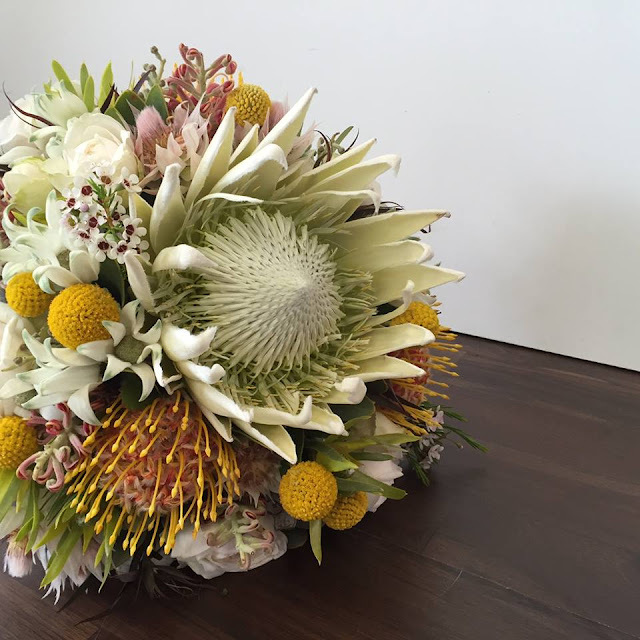 We also added to this masterpiece pin cushions, grevillea, blushing bride, after dark foliage, David Austen roses, tetra nuts, green leucadendron, and geraldton wax. 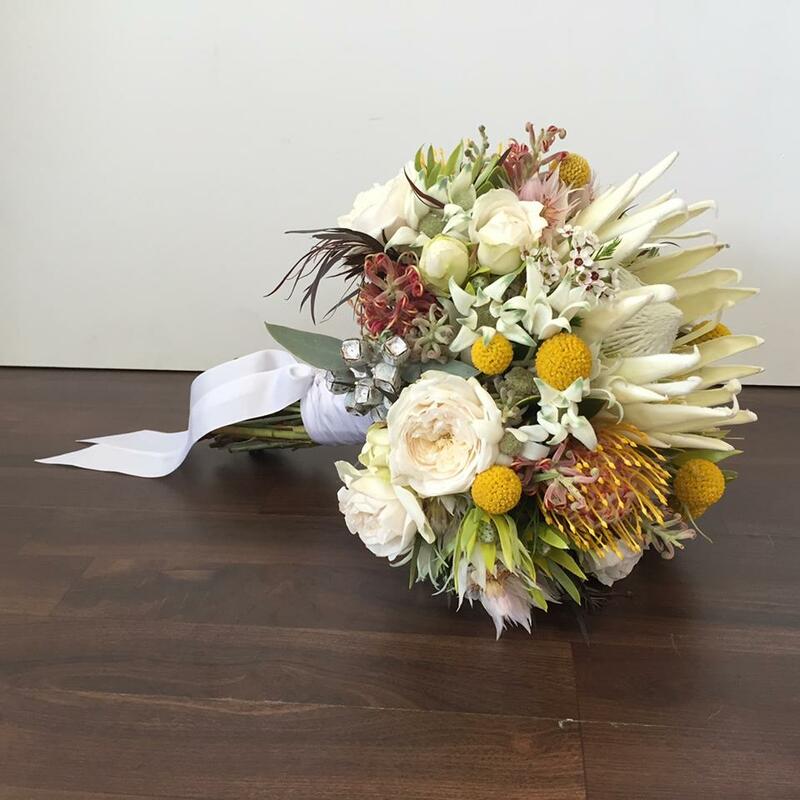 Gathered together, these elements are a wondrous combination. 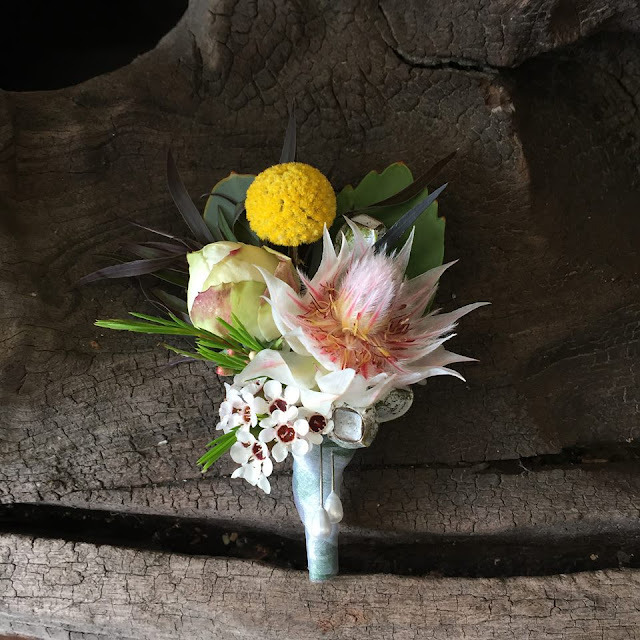 I think it is so fitting that the champion of the groom's button hole is the blushing bride. To see more wedding bouquet ideas, take a look at our Weddings Gallery. 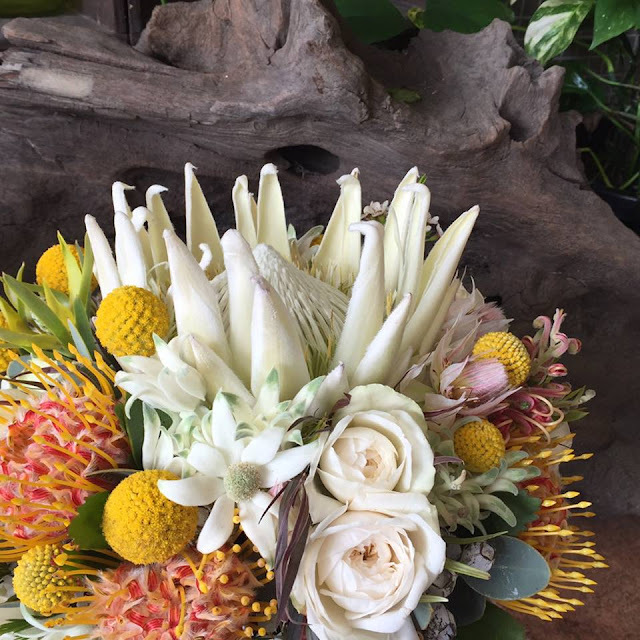 To arrange an appointment to meet with our floral designers call (02) 97451668.